The classification is based upon: F. Sgarrella and M. Moncharmont-Zei. 1993. 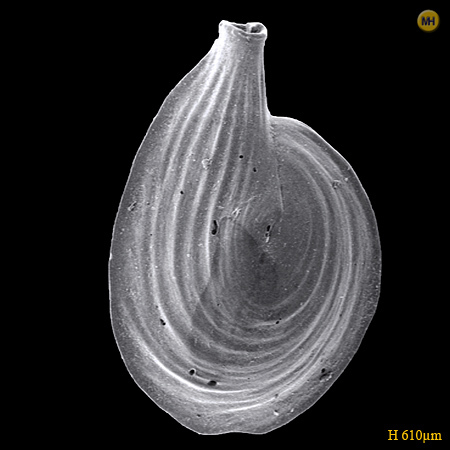 Benthic Foraminifera of the Gulf of Naples (Italy): systematics and autoecology. Bolletino de la Societá Paleontologica Italiana. 32 (2): 145-264.